Partly cloudy early followed by cloudy skies overnight. Low 41F. Winds light and variable.. Partly cloudy early followed by cloudy skies overnight. Low 41F. Winds light and variable. 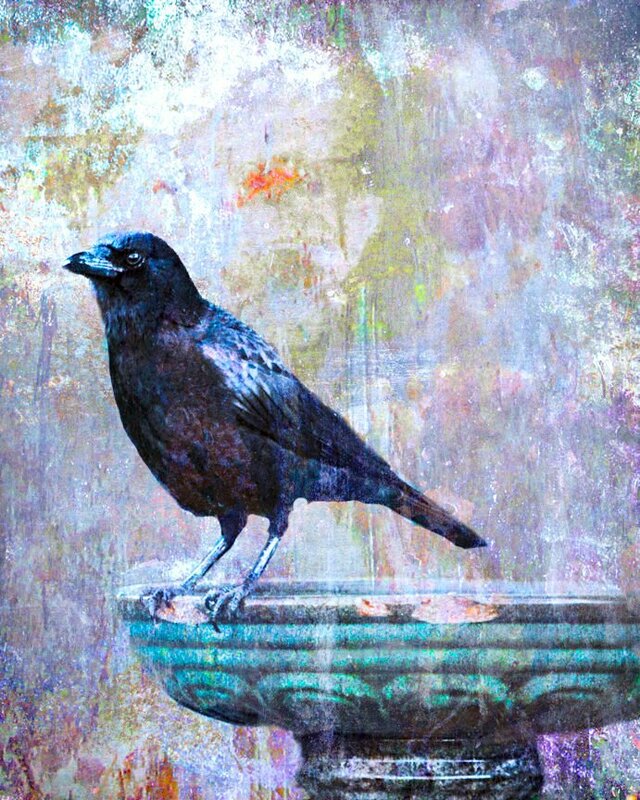 Birds of a feather will flock together this Friday, April 12, as Lincoln City’s Chessman Gallery unveils the Bird Show, its annual celebration of avian art. The show will open with a public reception from 5 to 7 pm, offering wine, light refreshments and a chance to chat with the artists and fellow art lovers. This year’s show features the multimedia creations of Diane Archer, the photographic transfer-based work of Nancy Abens, the handmade mobiles and cut paper sculpture of Elena Nikitin, the assemblage art of Jennifer Norman and paintings by Ronald Yasenchak. Archer describes her mixed media work as a continuing exploration of the physical and emotional aspects of place. Influenced by her studies of deep ecology and bioregionalism, her work is informed by the practice of looking for the sacred in everyday life. Archer’s work for this show is composed primarily of maps of Western Oregon, images of native trees and birds and found objects. The maps have been altered, copied, enlarged or stained. Images are either drawn directly onto the maps or applied with image-transfer methods. Found objects are added using vials, specimen cases and glass “windows” or are embedded directly into the substrata of the art. The finished art is coated with several layers of acrylic or wax to protect the surface from dirt and sun. Elena Nikitin does a variety of work including watercolor and ink drawings, sculpture from cut paper, mobiles and oil paintings. The cut-paper sculpture and mobiles she created exclusively for this year’s Bird Show dazzle the eye and seem to defy gravity, suspended in mid air and laced with detail. Nancy Abens is an avid birder who loves discovering the natural world and its inhabitants, from her backyard to travels further afield. After taking many photographs of the birds she spots, Abens uses Photoshop to create backgrounds by layering photographs of textures. The finished images are then transferred onto painted birch panels using a special transfer film and solution. “In making these works, I was inspired by the early natural historians and painters such as Martin Johnson Heade, Audubon and John Gould,” she said. Elena Nikitin has a degree in Architecture and a background in Palekh miniature painting — a Russian folk handicraft that is done with tempera paints on small varnished papier-mâché items such as boxes, powder cases and the like. Since the late 1990s, Nikitin has had four exhibits in Portland galleries. More recently, she has worked as a fashion designer in her own atelier, Lena Couture, exhibiting her work at seven solo fashion shows in Portland. Jennifer Norman is a local artist that uses, as she puts it, “trash” to create pieces of art. Norman grew up on a family ranch, spending much of her time on horseback, wrangling and taking care of animals. The earthy style of her art work reflects the dusty, rustic and gritty nature of her incredible upbringing. For this show, Norman will be creating a series of bird-themed assemblage art boxes. Rounding out this year’s Bird Show artists is Gleneden Beach oil painter Ronald Yasenchak. Yasenchak’s artistic talents first surfaced in 1968, when he started painting with oils while living in Columbus, Ohio. After a long hiatus, he picked up his brushes again in 2014, with birds joining trees and fish as the main focus of many of his paintings.